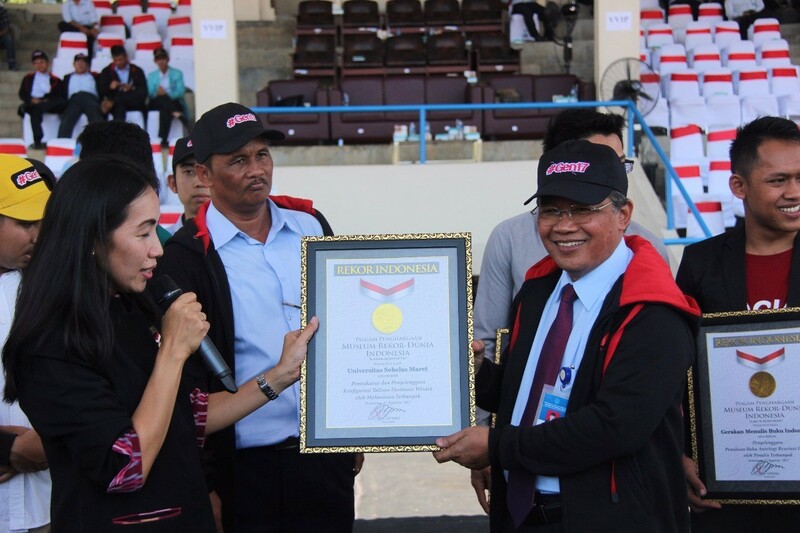 UNS – Universitas Sebelas Maret (UNS) Surakarta closed New Student Orientation (PKKMB) with Student Vaganza One Indonesia UNS 2017 in UNS Stadium, Thursday (17/8/2017). Formation Visualization was created for the closing of the event, breaking Indonesian World Records Museum (MURI) Records for the Most Image Configurations with Tourism and Unity of Indonesia as the Theme. 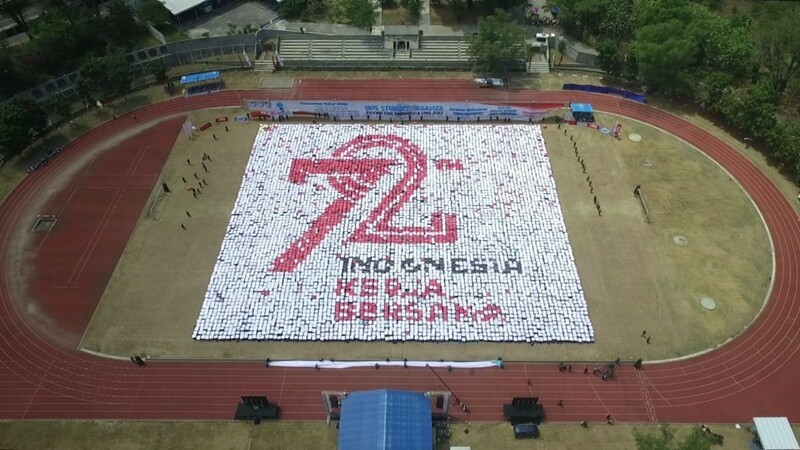 A large group of 7,520 new students succeeded in performing 11 formations in 41.89 seconds of Tourism Destinations in Indonesia, “Pesona Indonesia” Logo, One Indonesia UNS 2017 Jargon, HUT ke-72 RI (72nd Anniversary of the Republic of Indonesia’s Independence Day) Logo, and UNS Logo. Student Vaganza One Indonesia UNS 2017 was carried out on the 72nd Anniversary of the Republic of Indonesia’s Independence Day on the theme of “Improvement on the Role and Contribution of Youth in Maintaining Local Cultural Wisdom”. It is aimed to reinvigorate the spirit of unity in the diversity of cultures in Indonesia. “With the jargon Ragam Budaya, Satu Indonesia (Multiple Cultures, One Indonesia), UNS Student Vaganza carries a message that UNS students come from 34 provinces, various ethnic groups and religions, depicting a plurality of Indonesian cultures in UNS,” UNS Rector Ravik Karsidi remarked when opening the Student Vaganza. Supported by Student Executive Board (BEM) UNS, Alumni Association (IKA) UNS, Indonesian Book Writing Movement (GMBI), and some well-known companies, the event contained a series of activities: Formation Visualization, Culture-themed Flashmob, applauses nuanced by spirit of HUT RI, Student Organizations Parade, and regional communities’ culture-themed musical drama performances.